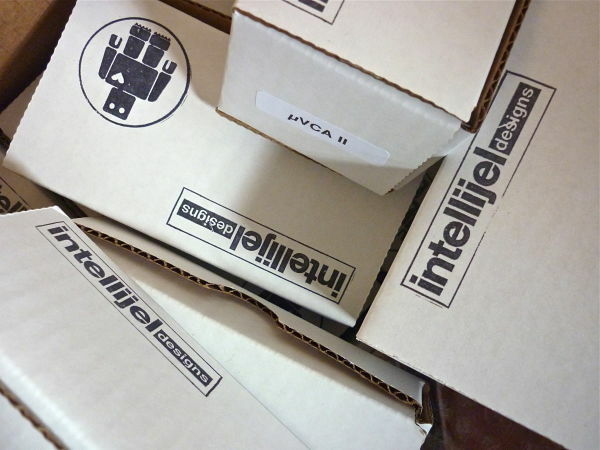 Mutable Instruments – Streams Restock, plus Yarns & Grids! Grids is back in town! The most instantly satisfying rhythmic module out there, producing interesting and evolving patterns within seconds. It’s like the “Braids of Rhythm”!! Also on the table is Yarns – an incredibly well-featured midi-cv solution, with onboard sequencing, LFOs and polyphonic modes. An excellent choice for those who’d prefer to sometimes work without a computer. Streams sold out exceptionally fast, and has hence been restocked. Enjoy! 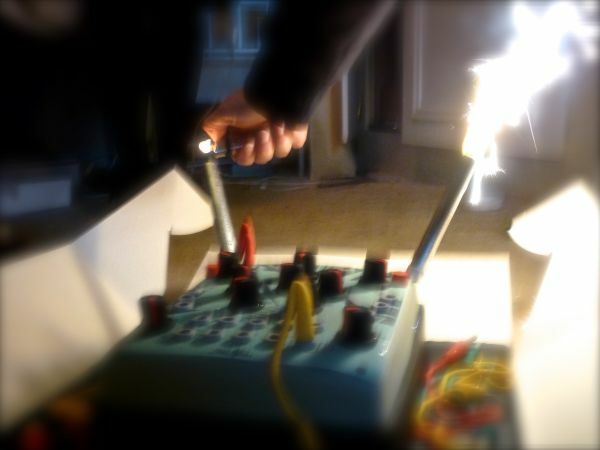 That’s right – 4ms have landed, with all manner of clock and tempo-synced envelope / lfo madness. How’s about a Quad Clock Distributer, attached to a Quad Clock Distributer Expander…and connected to a Quad Pingable LFO via an internal ribbon cable? How does THAT sound?? DinSync Sara VCF in Stock! Very excited about this new filter – the luscious DinSync Sara. The Notches are set so that when one is balanced towards Lowpass (using the State knob) the other veers towards Highpass …..and vice versa. This could be interesting!! It’s also one of the few filters to have voltage control over its Notch balance (State) – which will also enable you to morph it from Highpass to Lowpass under voltage control. Matttech Modular are very pleased to announce that another UK-based brand has been welcomed into the fold – ALM Busy Circuits. Many folk will know them from their ever-popular clock module, Pamela’s Workout, which has made its way into many Eurorack setups over recent times. All coming soon. Email if you want a head up when they arrive! The Frequency Central line expands further, with the introduction of another product in the System X range, based on the Roland System 100m vintage modular. This time it’s the System X Filter – a juicy lowpass with THAT Roland sound in spades – joined by a re-up of the snappy-as-hell System X Envelope. These badboys FLY out, so get ’em while you can! A further product enters the fray, and that is the Ultra Wave – a voltage controlled LFO with all the bells and whistles you could want. Based on the Electric Druid Tap LFO, it can sync to an incoming clock, and many of its functions can be modulated (waveform selection, Wave Distortion, Frequency division or multiplication. Can also be used as a Clock Divider/ Multiplier, and has an internal VCA for voltage control over its output level. 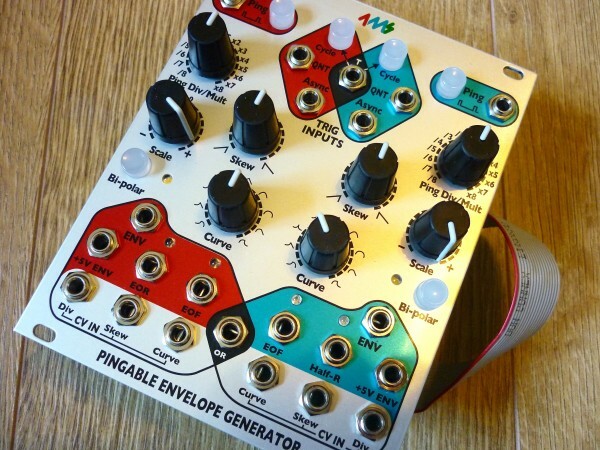 This week sees another addition to the Matttech Modular roster – Paul Barker’s DinSync. Perhaps best known for their awesome clones of the Roland TB303 filter (VCF303) and oscillator (OSC303), along with the Drumdokta Boss Dr. Rhythm DRM-110 drum machine clone. The first two are discontinued at present, but DinSync’s efforts have been recently channeled into the new SARA Dual VCF. This will be in stock soon, in limited quantities – so email me if you want to stick your name by one! 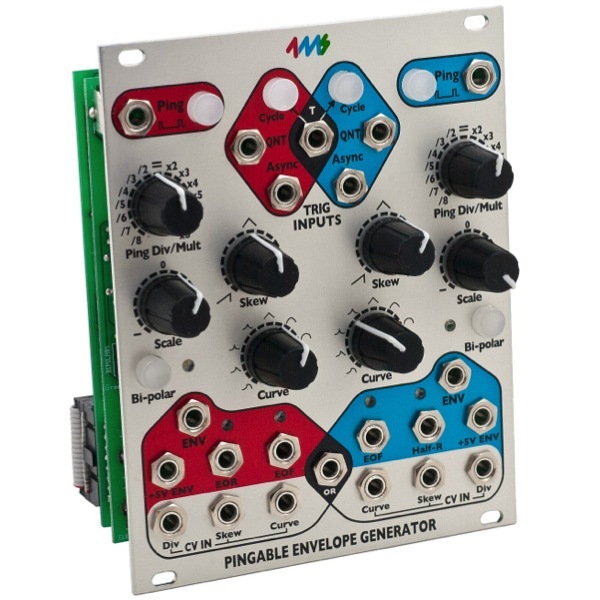 We are proud to announce that 4ms – makers of such Eurorack classics as the Pingable Envelope Generator, Rotating Clock Divider, Quad Pingable LFO and many others – are now officially on board with Matttech Modular. 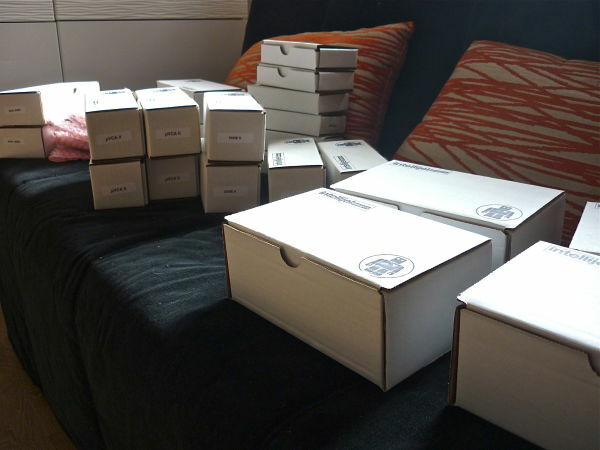 The first order has gone in, and we are expecting stock very soon. Some very exciting products are lined up for release this year from 4ms – including the Spectral Morphing Resonant Filter, and the Dual Looping Delay. Streams – multipurpose module – LPG, Compressor, VCA/VCF – and TWO channels of it all. …and get this! – the Expander turns it into TWO multimode filters, with LPF, BPF and HPF on each pair of outputs. £49, and an amazing addition to Shelves. If you’re reading this, then that means ONE THING: the Matttech Modular website is finally live! In order to make the transition into online ordering as smooth as possible, we will initially be selling only to UK-based customers, taking payments via either direct bank transfer or Paypal. Once the website has been up and running without issues for a little while, we will hopefully then move on to EU-based sales. Our initial focus is on the various elements that make up a synth voice – oscillators, filters, lfos, envelopes etc.. – but we aim to expand into other areas such as sequencers and drum modules as the store develops. We will also be adding more manufacturers to our range as soon as humanly possible. You can browse the store via Brand or Function category links, found within the sidebar on all pages (except the homepage). Hope you like what you see, and feel free to contact me if anything doesn’t appear to be working properly – either via email, or on Facebook, Twitter or Muff Wiggler. If any of the other manufacturers I approached initially are wondering why I haven’t put an order in with them yet, it is merely a matter of time/ sales, as I have had to set some strict limits on myself in terms of what I can offer from kick-off. Hopefully I will be in touch soon!